Mean Joe Greene is coming back to the Super Bowl 2012. 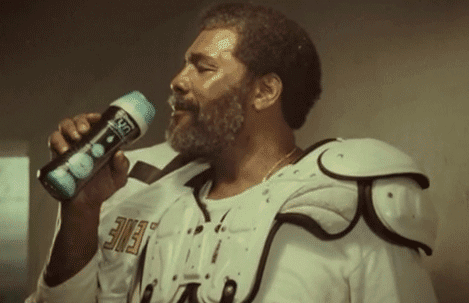 Mean Joe Greene was in the classic Coke Super Bowl that aired in 1980. He reenacts the Coca-Cola Super Bowl Ad but instead of a bottle of Coke he got Downy Unstopables. In another twist, Amy Sidaris plays the role of the kid handing Mean Joe Greene the bottle. Downy Unstopables is a in-wash scent booster. Sounds pretty cool, but is basically just a scent for your laundry. The Downy Unstopables commercial will not air during the Super Bowl game, but in the pre-Game coverage. Watch the Downy Ad now below. We also embedded the 1980 Coca-Cola Mean Joe Greene ad below for your reference.